Long term storage is a service many people turn to because it’s convenient, safe, easy to load and offers a secure, weatherproof place for your belongings. Whether you’re downsizing, moving home for the summer from university, clearing out an entire property or offices – long term storage can be your interim solution. This month, Simon Long Removals are here to tell you all you need to know about long term storage, so you can make the most of these services when you require a little helping hand. What are the benefits of long term storage? Convenient – you can store anything, from large pieces of furniture to your entire library of books. With long term storage, you’re offered convenience when you need it most. This service allows you to take your time when putting order to your belongings. Whether you’re downsizing or not sure what to do with someone’s things at the time of bereavement – long term storage enables you to organise and make future plans before worrying about the immediate solution. Safe and secure – if you were to leave your belongings with a family member or a friend, chances are they would be stored in their garage or attic, and although a very kind offer, these spaces can age your items because these areas are not climate-controlled. In long term storage, you can guarantee that your belongings will remain in the same condition you left them in. 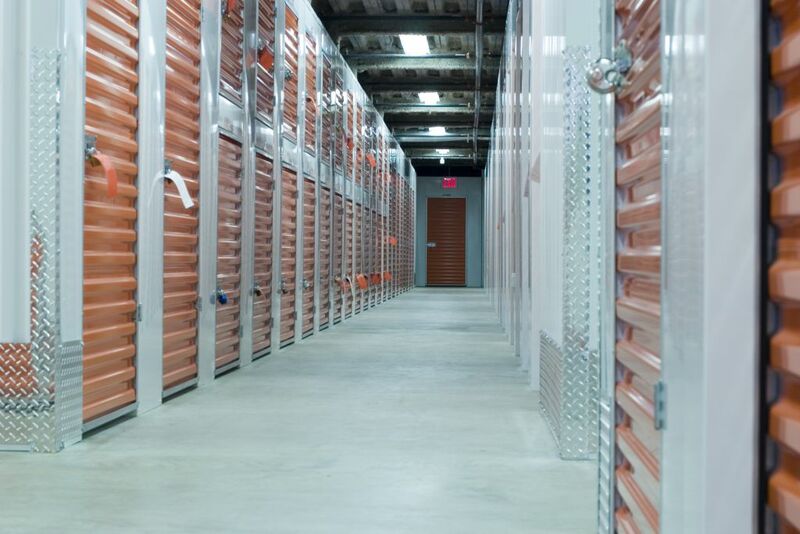 Storage facilities are climate-controlled spaces that offer a safe and secure area where your belonging will stay until you decide you want them back again. All storage facilities are monitored with CCTV cameras and alarm systems to keep valuables and sentimentals under careful surveillance. Easy to store – With a space dedicated entirely for retaining your belongings, you can be sure that the process of storing goods is quite simple. When using long term storage, invest in sturdy boxes – although tempting to recycle old boxes from large food stores, it’s important to use strong ones for stacking. Not to mention, you can reduce your chances of breakages when using reinforced boxes on moving day. Always wrap fragile items in newspaper or bubble wrap for protection and vacuum seal any fabrics. Throw a cotton cover over large pieces of furniture and be sure to ask for help or advice, should you require it. The majority of storage companies will be happy to assist you with heavy lifting and provide you with a trolley dolly to speed up the process, to save you time. We have had customers use long term storage because they plan to travel the world and want the security of knowing that their valuables are in safe hands. This allows our customers to do whatever they want, without having to carry their things with them. Whether the children have grown up and moved out or you’re just ready for a new chapter, when you downsize, you will realise just how much you own. Instead of throwing things away at haste, use long term storage so you can mindfully sell or give things you no longer need away to charity. More and more people are becoming savvy when it comes to ways of a second income. If you’re considering renting out a room in your home that’s full of clutter, long term storage could help you make this decision quicker. Tables, chairs, desks and cabinets take up a whole lot of space, so to free up room in an office, long term storage can be the answer. The last thing we want to consider during this time is what should I do with their things? To give yourself breathing space, use long term storage, so you can get back to this question when you are ready. At Simon Long Removals we offer a full, comprehensive long term storage solution for those who are in need of a safe and secure unit. For security purposes, we ask our customers to request access beforehand – so we can always ensure your unit is only ever accessed by you. For a first rate, comprehensive service, turn to Simon Long Removals who can offer you over 20 years’ of experience. Whatever it is you require – whether that’s domestic removals, business removals, overseas removals or storage options – let our friendly staff answer any questions you may have, just give us a call or fill out our online contact form. We work throughout a number of locations including: Thetford, Cambridge, Norwich, Kings Lynn and the surrounding areas.